Marketing Strategy Musings - Strategy Dude (Edmund Wong's blog): Happy 3rd Birthday, DROID!!! DROID DOES a third birthday today. On this 3-year anniversary of the launch of the DROID brand on Verizon Wireless, let's take a look back at how far DROID and the Android operating system has come. 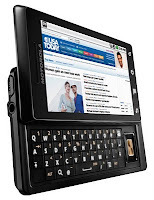 I had the first slider keyboard DROID and loved it for its anti-iPhone-ness. The DROID was (and still is) a strategic brand and product for both Verizon and the Google Android team. It had over 1 million in sales in 74 days! The DROID's debut single-handedly put Android on the map and has since led to Android's stellar growth. IDC announced last week that 75% of new smartphone shipped in Q3 ran Android OS. Of course, not all of those were DROID-branded phones on Verizon. But as the premium Android brand on the largest US carrier in one of the largest mobile markets in the world, the DROID brand graced many historic phones. 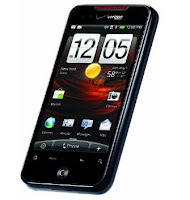 DROID Incredible - A truly incredible, large touchscreen phone by HTC that launched soon after the DROID. DROID X - A bold, big, thin phone with strong multimedia capabilities at the time went right after the iPhone and sold like hotcakes. 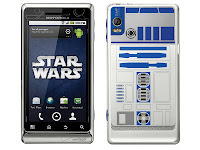 DROID R2D2 - How can you license the DROID name from Lucasfilms and not build a Star Wars-themed phone, right? DROID CHARGE 4G - At launch, it was super fast and one of the first devices to exploit Verizon's 4G LTE network. It was an impressive device that demonstrated Samsung's engineering prowess. 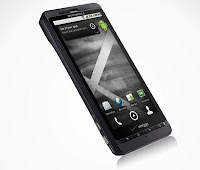 DROID RAZR - This ultrathin, ultra-sleek DROID even resurrected the RAZR brand for Motorola. 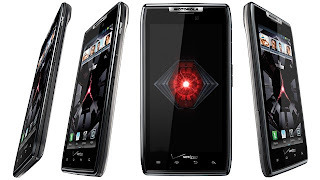 Today, Motorola's DROID RAZR family of products are the represent the high-end of Verizon Android phones. Verizon's DROID brand strategy appears to have worked from 3 years ago. I'm going to upgrade my phone soon and will be looking at a DROID again. And I can't imagine driving without my Google Maps navigation. Apparently, I'm not the only one as the iPhone 5's launch demonstrated!